TEHRAN, Iran — An Oscar-nominated Iranian director said Sunday he will not attend this year's Academy Awards because of a travel ban imposed by President Donald Trump. Asghar Farhadi, an acclaimed director whose film, "The Salesman," was nominated for best foreign language film, said the uncertainty surrounding his ability to travel to the United States was "in no way acceptable," and that he would not attend next month's ceremony even if an exception to the ban were possible. An executive order issued last week temporarily bans the entry of citizens from Iran, Iraq, Syria, Libya, Sudan, Somalia and Yemen. The administration says it is necessary to keep out potential terrorists while stricter vetting procedures are put in place. 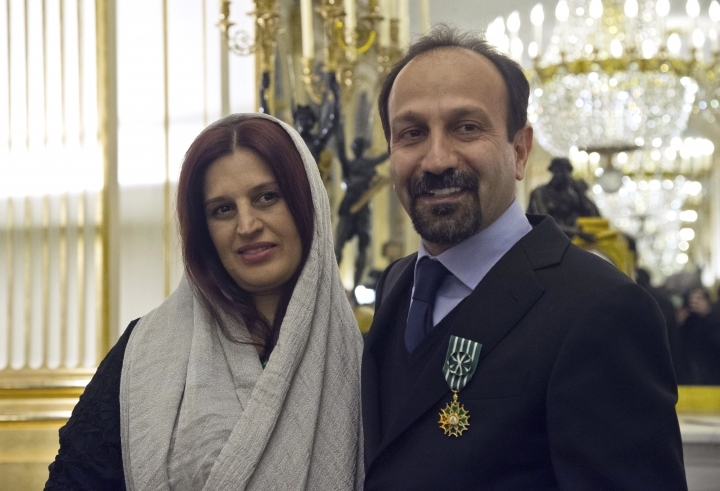 Farhadi became the first Iranian to win an Oscar, for his 2011 film, "A Separation." He said he had initially hoped to attend the awards and express his opinions in the press surrounding the event. "However, it now seems that the possibility of this presence is being accompanied by ifs and buts which are in no way acceptable to me even if exceptions were to be made for my trip," he said. He compared "hard-liners" in the United States to those in his own country, saying both "have tried to present to their people unrealistic and fearful images of various nations and cultures in order to turn their differences into disagreements, their disagreements into enmities and their enmities into fears." He went on to condemn the "unjust conditions forced upon some of my compatriots and the citizens of the other six countries," and expressed "hope that the current situation will not give rise to further divide between nations." In a statement released Saturday, the Academy of Motion Picture Arts and Sciences expressed concern that Farhadi and his cast and crew may not be permitted to attend the Oscar ceremony in Los Angeles, calling it "extremely troubling." On Thursday, Iranian actress Taraneh Alidoosti, star of the "The Salesman," tweeted she would boycott the Oscars — whether allowed to attend or not — in protest of Trump's immigration policies, which she called "racist." The ban is affecting other Oscar nominees as well. On Sunday, a statement was issued by the producers of the Oscar-nominated documentary short "The White Helmets" saying that the film's subjects, Syrian humanitarian workers, would not be able to attend the ceremony. "They've been nominated for a Nobel Peace Prize — these people are the bravest humanitarians on the planet," said the statement from producer Joanna Natasegara. "The idea that they could not be able to come with us and enjoy that success is just abhorrent." Similarly, director Marcel Mettelsiefen, nominated for the documentary short "Watani: My Homeland," about a family escaping the Syrian civil war, called the travel ban "another devastating blow to refugees who have already suffered so much." The Writers Guilds of America East and West issued a statement Sunday saying it condemned "Trump's profoundly un-American 'Muslim ban.'" "From its early days, the entertainment industry has been built by the imagination of immigrants. Our guilds are unions of storytellers who have always welcomed those from other nations, and of varying beliefs, who wish to share their creativity with America. We are grateful to them, we stand with them, we will fight for them," the WGA statement said.